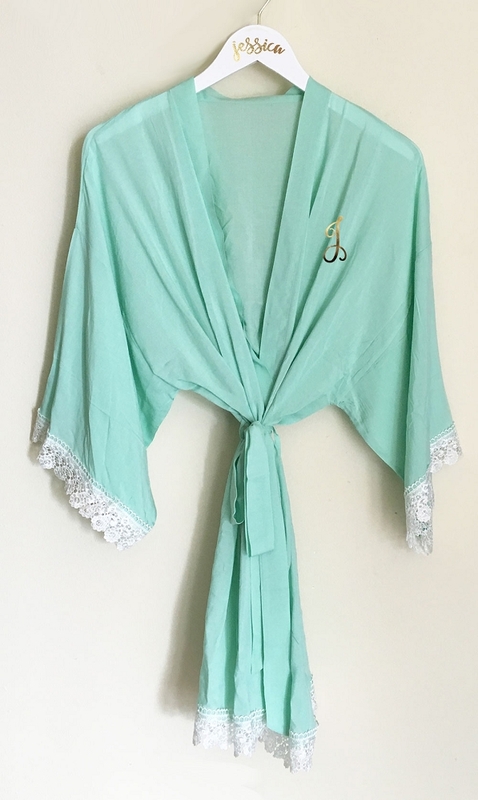 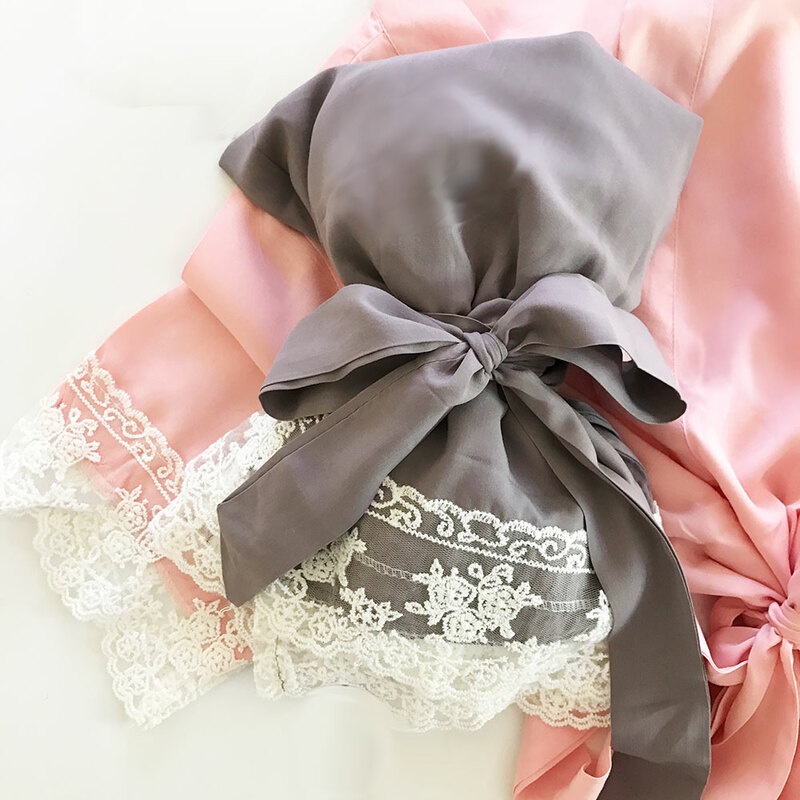 Monogram Cotton Lace Robes are an ideal gift for bridesmaids, the bride to be or even as a birthday gift! 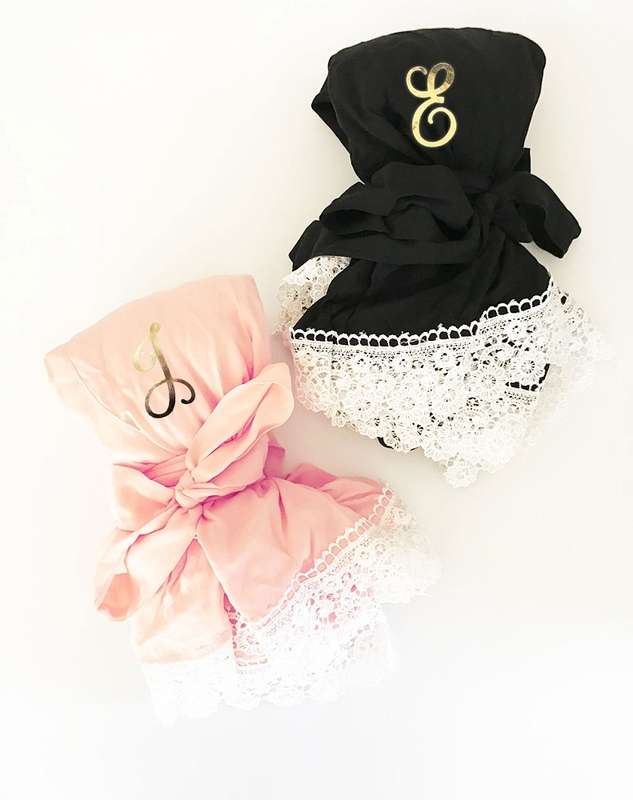 These delicate robes come in your choice of white, coral blush, mint, or black, and a gold foil monogram on the left side. 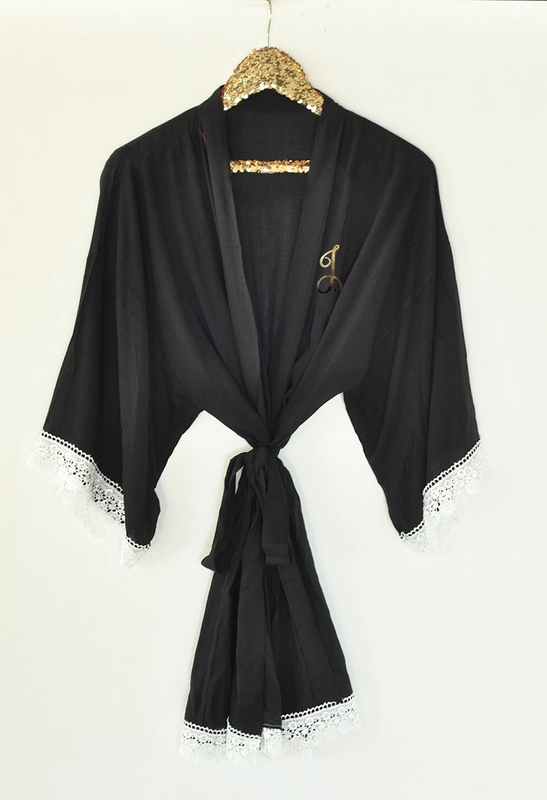 Each robe comes with a matching belt for the outside and a delicate lace trim.